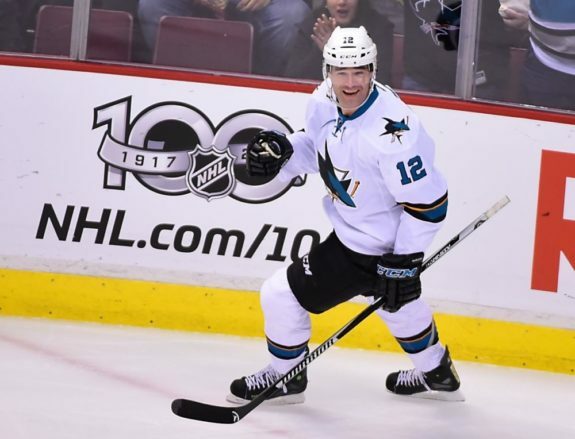 Is Marleau Worth the Maple Leafs Moola? It’s been years since the Toronto Maple Leafs went out and got a top sought-after player in free agency. With the Leafs back to being a playoff contending team, it also means that they will spend like one. So the Leafs went out and signed Patrick Marleau to a huge contract for someone his age. 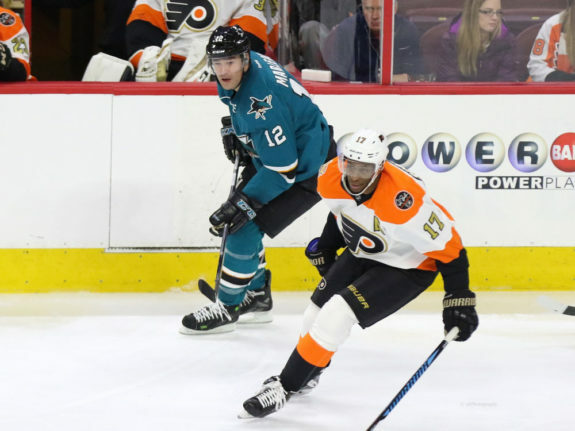 In Marleau, the Leafs add a great player to their already-talented forward group, but is he worth the price? Marleau will be 38 years old when the season starts and will be 40 when his contract is up, all the while having a cap hit of $6.25 million a season. Surprisingly, this isn’t something to be worried about. The first thing that comes to mind when thinking about the 37-year-old Marleau is injuries. This is a real concern based on his age and how demanding hockey has become on players’ bodies. But when you look at his career these worries are quickly put to bed. The last time Marleau missed any games in a season was the 2008-09 season, where he missed only six games, and he has played every game since for eight seasons. When looking at the entirety of his career. he’s one of the least-injured players by far with 19 seasons in the NHL and has only missed 33 games in his entire career. The other aspect of aging players is the eventual slowdown in their speed. That isn’t the case with Marleau. He’s still a fast skater by NHL standards, which will make him a nice fit with the Leafs’ speedy youngsters. Now the only thing that has regressed with Marleau has been his point production. He’s three seasons removed from his 70-point season in 2013-14 and had just 27 goals and 46 points last season. Now that is to be expected with age, but the important takeaway is that he can still score at a top-line rate. With possible linemates of Auston Matthews, William Nylander or Mitch Marner, it wouldn’t be unreasonable to predict that Marleau’s production will be higher than his last two seasons. So we know that Marleau is still a fast, scoring winger who can stay healthy, but is he really worth a three-year contract at $6.25 million a season? Last week I wrote about whether the Leafs should pursue Marleau and came to the conclusion that it would be fine as long as it was a short one- or two-year deal at $4 million-5 million. For his age and recent production, a deal like that would be fair value, but free agency isn’t about fair value. Everyone is overpaid in free agency. The demand for certain players will push their asking price up from fair value to an overpayment. And that’s what happened to the Leafs. Not only are the Leafs trying to meet Marleau’s contract demands, but they also have to outbid other teams competing to sign him. That’s just the nature of free agency. Now onto the nitty-gritty of the contract. Salary-cap-wise, the Leafs should be fine until Marleau’s third year of the contract, which is when Matthews and Marner need to be signed to their first contracts after their entry-level deals. 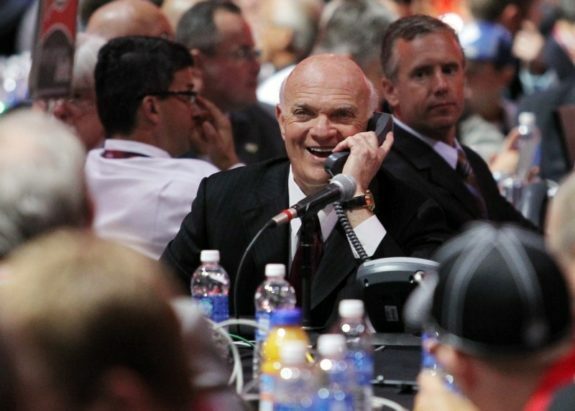 Fortunately, the Leafs have a management group that looks ahead when signing big contracts. So for Marleau’s contract, he’s got three years at an annual cap hit of $6.25 million. That number doesn’t actually matter; what really matters is his salary and signing bonuses. Salary is the actual amount of money that a team plays a player each year and it can vary from year to year, unlike a player’s cap hit. Marleau’s salary is as follows: $8.5 million in 2017-18, $6 million in 2018-19 and $4.25 million in 2019-20. So with this, we know that Marleau makes most of his contract up front and it’s less each season. Now onto signing bonuses. Signing bonuses are guaranteed money for the player that is paid out on July 1 and makes a contract buyout-proof. Marleau’s signing bonuses are as follows: $7 million in 2017-18, $4.5 million in 2018-19 and $3 million in 2019-20. So why do all these numbers matter? Well, in an interview with Sportsnet’s Prime Time Sports, general manager Lou Lamoriello explains the benefit of having a contract like this for the possibility of trading Marleau later on. For teams that aren’t spending to the cap or have an internal cap, a player like Marleau would be someone they would be willing to take on in the last year of his contract. He will still have a cap hit of $6.25 million, but his actual salary in the third year of the contract will be $4.25 million. As of July 1 heading into that season, the Leafs will pay Marleau $3 million for his signing bonus, which means after July 1 of that season Marleau’s actual salary will only be $1.25 million. So what this means is that the Leafs have given themselves an out if they get stuck at the salary cap ceiling. If Marleau’s play drops off significantly or he gets injured or the Leafs can’t afford him with Matthews and Marner needing to be signed, it means they can easily trade him as he will only cost a team $1.25 million in the last year of the contract. So in conclusion, Marleau is still a great player who will easily fit in the Leafs system. He is quite overpaid for what he’s actually worth, but that’s just how free agency works and there are no worries about him becoming a salary cap problem due to his contract breakdown. The Leafs have continually reiterated that they will always make moves that make them better as long as it doesn’t cost them the future. Signing Marleau is one of those deals. It makes the Leafs a far better team and won’t cost them any of their young talent.